I'm all for spending hours in front of the mirror experimenting with makeup and precisely applying that perfect eyeliner flick, contour and bold lip. Realistically, though, that only happens once in a blue moon and, on a daily basis, I need products that will give me drama and a professional-looking finish in a fraction of that time. 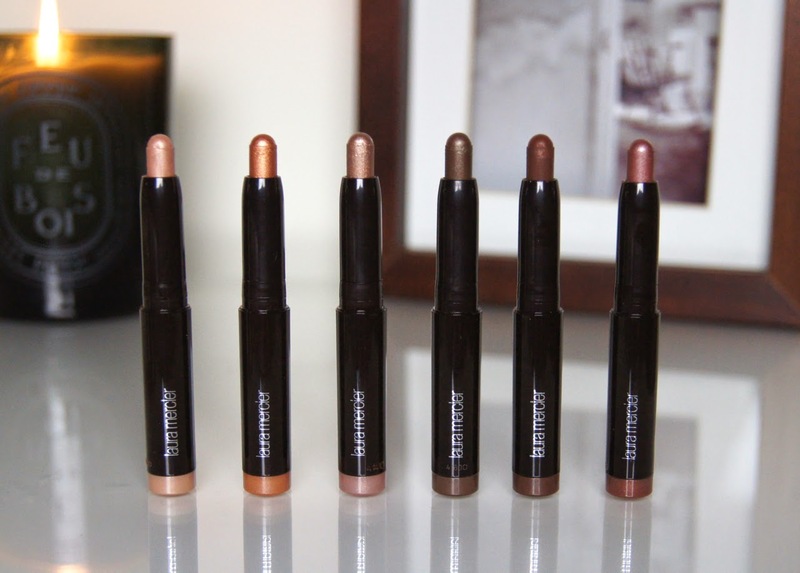 For a speedy, yet stunning, eye look, cream eyeshadow sticks are perfect and none can top the Laura Mercier Caviar Stick Eye Colours. If you haven't tried the Caviar Sticks before, then let me tell you, the quality of the formula is hard to beat. Soft and creamy, the shadow can be applied directly onto your lids from the stick, without dragging the delicate skin. A quick blend with either your finger or a fluffy brush is all you need for a gorgeous result. Smooth in consistency, the sticks don't melt or go all gooey on contact with the skin; they're totally fuss-free. Usually cream shadows are used as a base for the rest of your eyeshadows, but the pigment in the Caviar Sticks is so strong that you can simply wear them alone and still get an intense look. Just one swipe gives opaque colour and once it has set, it stays in place all day. No creasing, no smudging and no fading, even if you skip a primer. 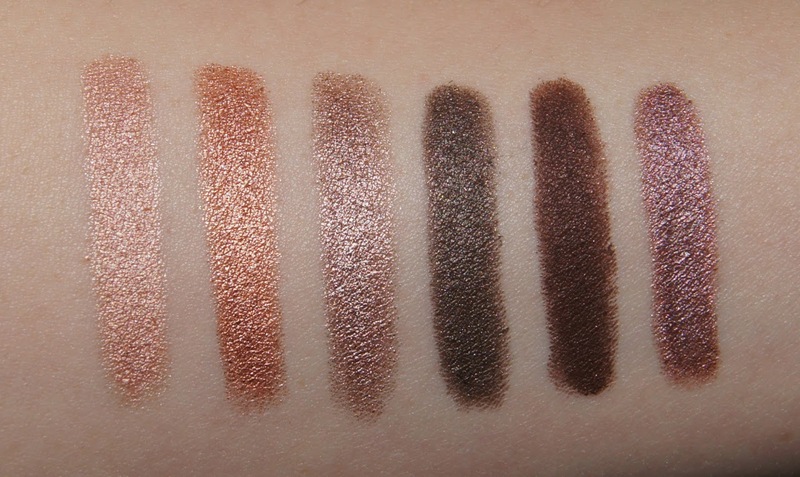 As you'd expect, the darker shades take a little more work to look perfect, but that's the same with any brand. You just need to make sure you have a couple of clean, blending brushes on hand, to get an even graduation of colour and to stop the shadow from becoming patchy at the edges. There's a generous helping of shimmer in each of the shades I have and the finish is a lot more metallic in the lighter colours. Fortunately, the texture isn't affected by the shimmer at all and, being so finely milled, there's no rough or gritty feel to them. Of course, the neutral shades look so effortless and pretty on the eyes, but even the bolder shades in my collection are wearable and add a hint of daring colour, without being too stark. Of the eighteen shades on offer, I have six. Whilst all the tones in my collection are fairly safe and easy-to-wear, Laura Mercier do have some more out-there hues in their line-up. Rosegold is a pale, peachy, rose gold (surprise, surprise). It isn't too dark or warm, like some rose gold shades can be and would make a stunning highlight on darker skin-tones. If you're familiar with MAC eyeshadows, then I'd say it's the cream version of All That Glitters, which is heavenly. Copper is a bright, rusty, orange copper. On the eye this shade has a look of molten metal, which goes so well with either a natural or bold lip for the evening. This colour could be a little too warm for very fair complexions, but it will really emphasize blue eyes, making them stand out further. Moonlight is a cool-toned, slightly mauve, taupe shade that reminds me a lot of MAC Satin Taupe. Easy to wear, it's not too dark for the daytime and gives the eyes a wet-look sheen, if you add just a touch of it. Khaki, my favourite of the bunch, is a rich, blackened, emerald shade that has a brown undercurrent when blended. I'd say it's a lot darker than standard khaki shades, which makes it more wearable if you're wary of straying from neutral colours on the eyes. Cocoa is a deep, warm, chocolate brown. This is the least shimmery of the shades, but it does have a slight, golden shimmer running through it. It's a great one to use in conjunction with another shade, to add definition to the crease and outer third of the eye. Amethyst, the most adventurous shade of my six, is a vibrant, metallic plum. When blended out, I find the edges have a slight warmth to them, which almost creates a natural depth and shadow and makes the colour even more interesting. For anyone with brown eyes, this shade compliments them so well and it looks gorgeous both day and night. When cream eyeshadows come in a screw-top pot, chances are, the product will dry out fairly quickly. As these shadows come in stick form, there's no need to worry. 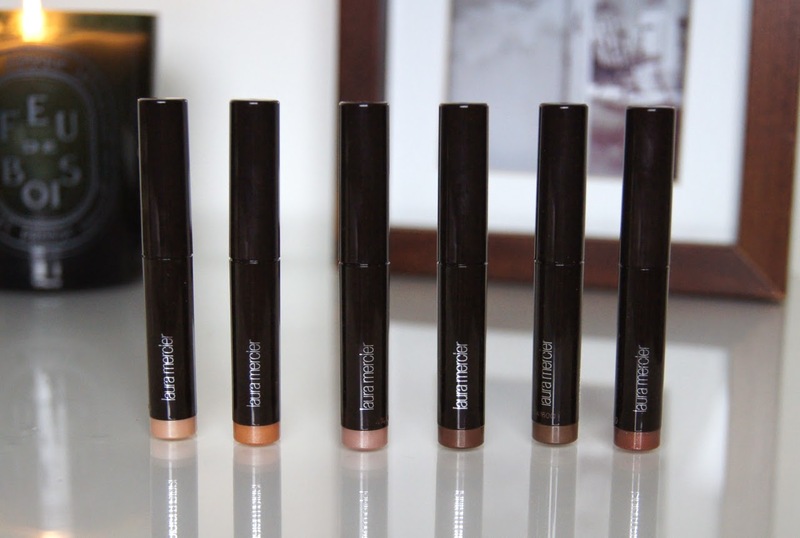 Perfect for traveling, they're compact and will fit in any makeup bag. You don't even need to use them with brushes, further minimising the amount of room they take up. Priced at £23 each for 1.64g of product, the Caviar Sticks are on the expensive side. If that's out of your budget, then watch out for the limited-edition mini sets that Laura Mercier usually release around Christmas time, which are often incredible value for money. These look so beautiful and easy to wear! And still cheaper than the By Terry ones! I have blue eyes and can't decide on a color since they are all so pretty. Suggestions for a good day look?